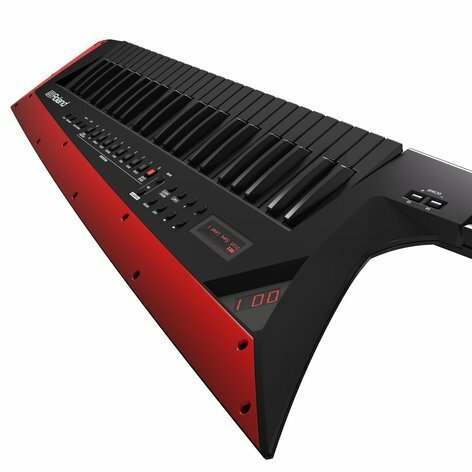 Building on decades of refinement and learning from artists around the world about what makes the ultimate performance synthesizer, Roland's AX-Edge has a sleek, modern design with a customizable look via interchangeable Edge Blades, 49 full-sized keys, and a sound set crafted specifically for keytarists. Plus, this stylish keytar offers plenty of design features that give you the freedom and confidence to truly express yourself on stage. The AX-Edge lets you create an original design that complements your band’s style. 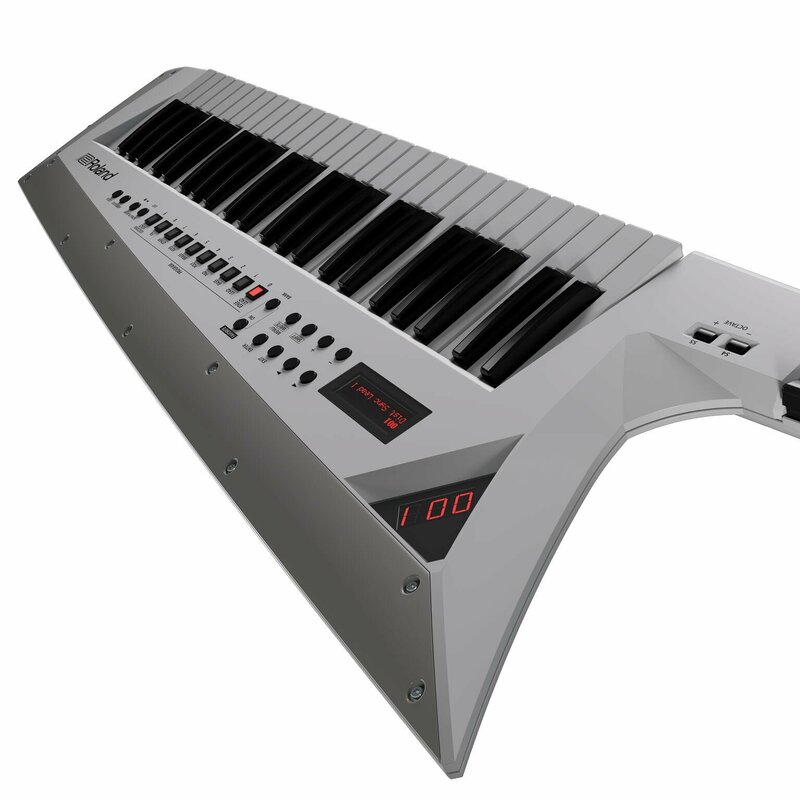 It's available in black or white, and each color has individual design elements that make it stand out, like the "none-more-black" keys and removable Edge Blades. It also includes an extra Edge Blade (silver for the black model and gold for the white model). With onboard sounds optimized for stage performance, the AX-Edge produces sounds that cut through, even in a loud band. Dedicated buttons for favorite sounds give you instant access to edgy leads, big fat basses, and all manner of keyboard sounds perfect for the performing keytarist. Whether you need subtle nuance or over-the-top intensity, the AX-Edge’s intuitive neck controls truly take your performance to another level. 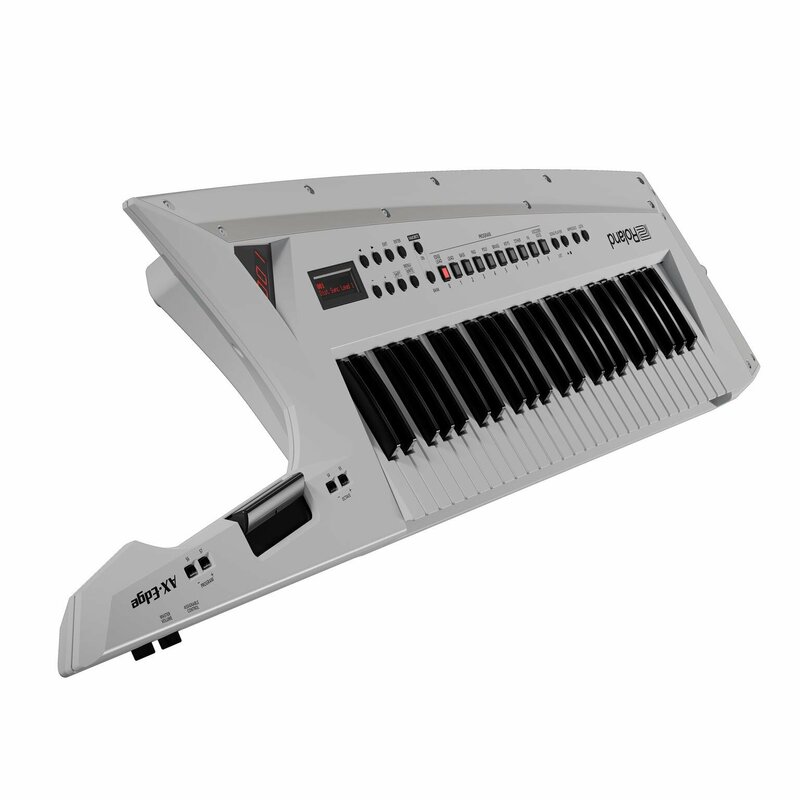 These controls include a modulation bar, pressure sensitive pitch ribbon, and easy-to-reach controls for portamento, hold, octave switch, and program change. Plus, many controls can be reassigned to functions that perfectly suit your performance style.